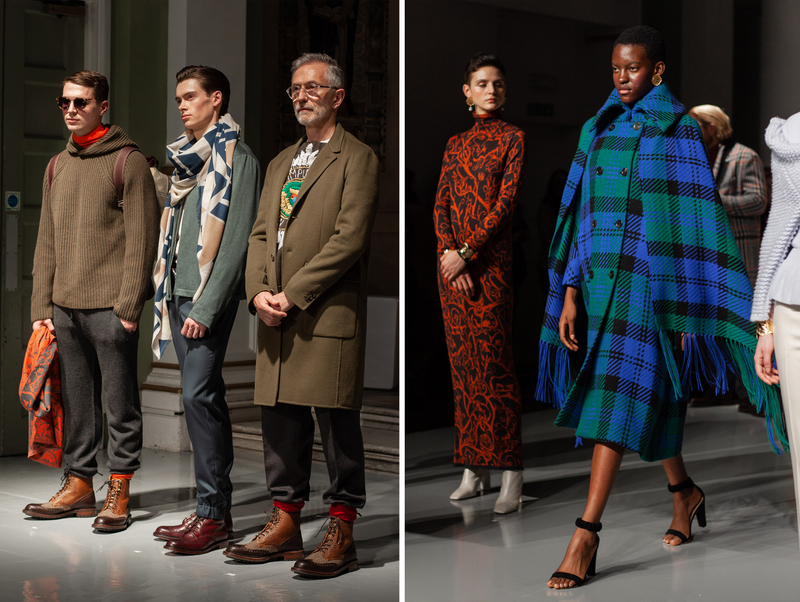 Diligent recently had the pleasure of attending Johnstons of Elgin’s AW19 London Fashion Week presentation. This was the brand’s third time showcasing at fashion week, and it was a joy for us to be a part of their spectacular event. 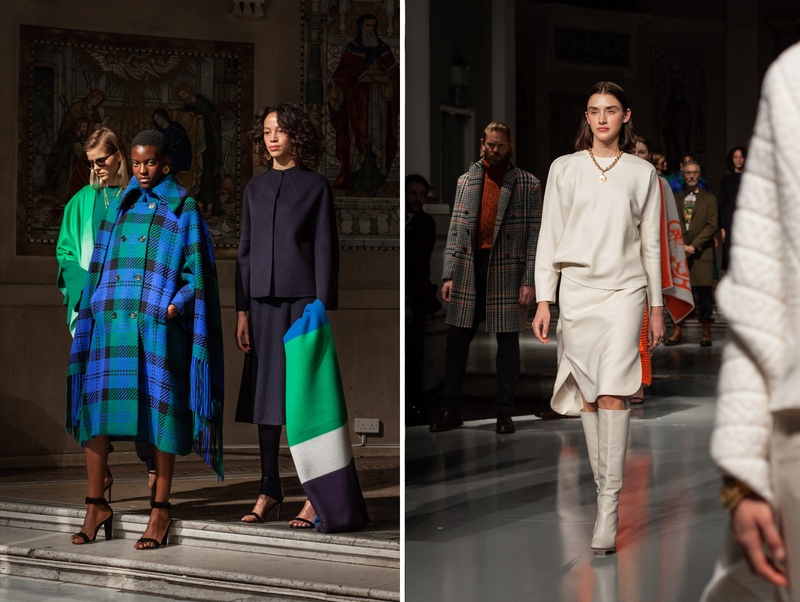 Quality, artistry, innovation and design are the pillars that Johnstons of Elgin is built upon and they continued to expand upon these themes this season. Inspired by the golden age of travel – an era when new technologies made exploring the world an exciting new possibility – this collection wouldn’t look out of place worn by passengers aboard the Orient Express. 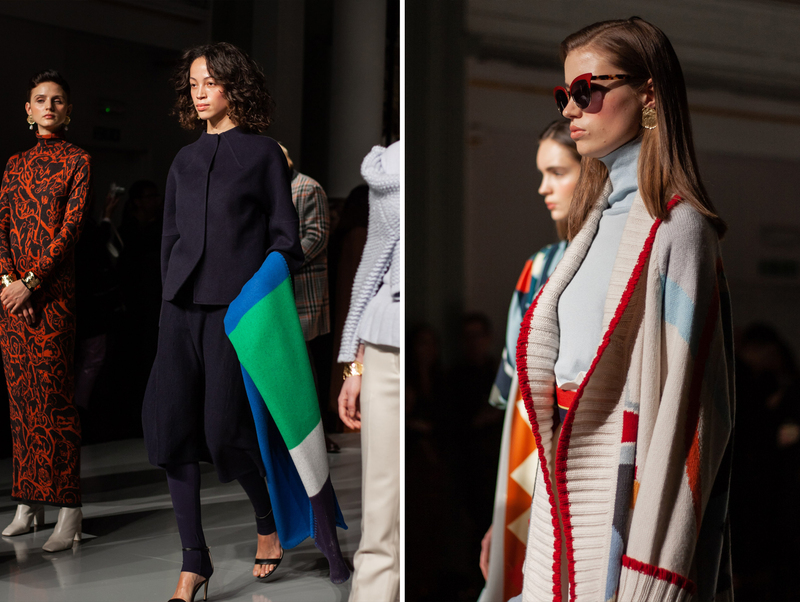 Gold cashmere and jewel-inspired tones give an Art Deco feel to the collection, while innovative knits like lightweight merino and cashmere velour reflect their reputation as one of the finest producers of woollens in the British Isles. Flashes of tartan in rich blues and greens give a nod to Johnstons of Elgin’s rich Scottish heritage, dating back to 1797. One thing that really stood out during the show was the diverse age range of the models. 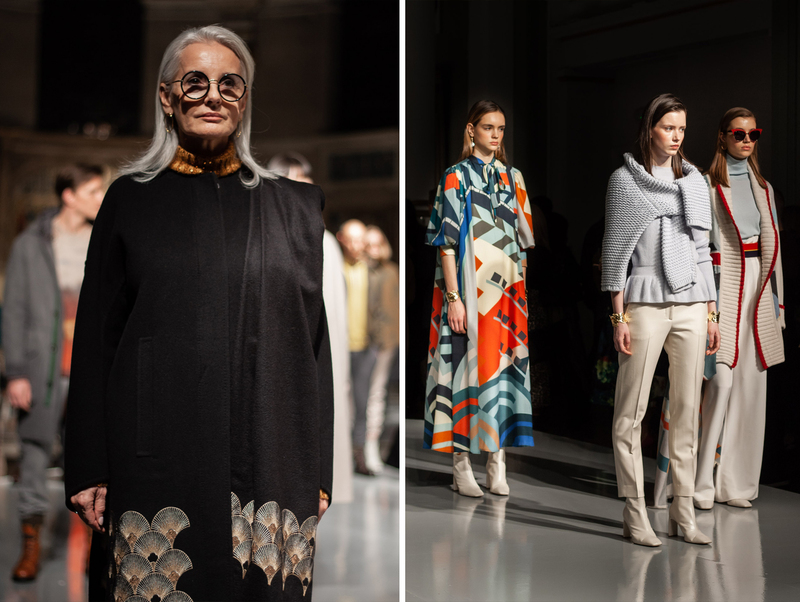 Gabriela Rickli-Gerster – a classic model – stole the show, looking fabulous in a black and gold ensemble while David Evans of Grey Fox Blog – a blog that covers menswear for those aged 40 and over – also took a turn to strut on the catwalk. Using a diverse age range of models was as an opportunity to showcase that Johnstons of Elgin’s designs look great of anyone, at any age. No doubt that this collection will be a hit, and we are looking forward to continuing our work with them in the future. You can read more about the collection and see more images on the Johnstons of Elgin blog.